A classic sonar emits an acoustic signal towards the bottom of the water body and analyzes its echo. 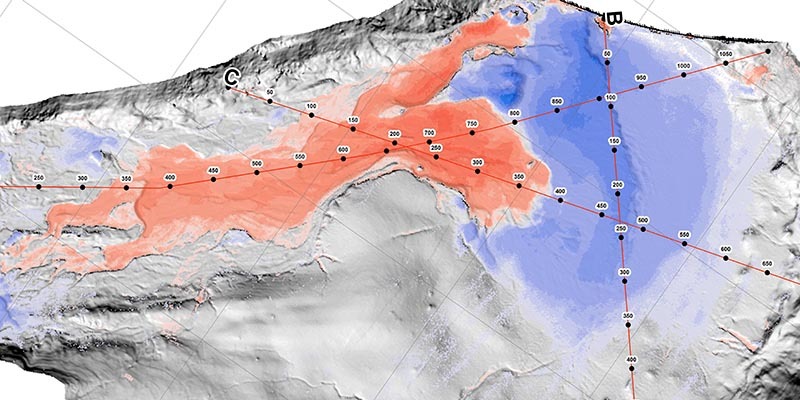 Knowing the propagation velocity of the acoustic waves in water and the time between emission and detection of the signal, it is possible to calculate the distance between the sonar system and the floor. The multibeam bathymetric technique uses many receivers simultaneously to cover a large area of the water bottom, allowing a continuous data acquisition. 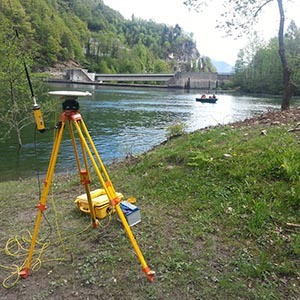 Bathymetric measurements are frequently used for pipeline placement studies, sedimentation monitoring or hydroelectric plant management. A multi-beam sounder is perfectly suited to survey and inspect lake, river and sea bottoms. It is capable of reaching an excellent resolution (10 points/m2) an a very good accuracy (3-5cm). It can operate in water depth starting at 1 meter depth. 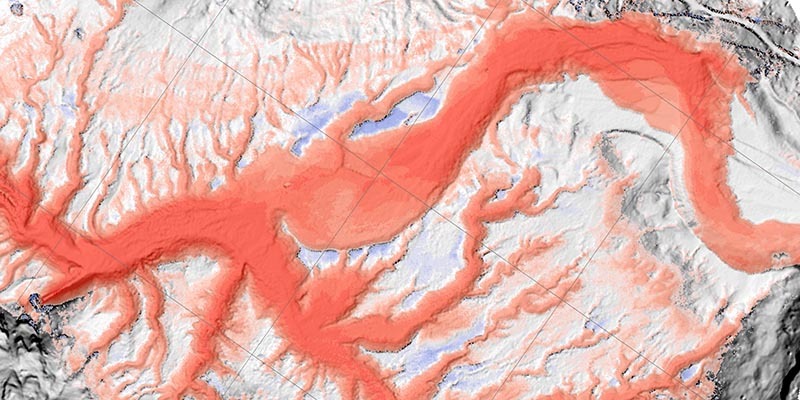 Detailed information and references for bathymetry are available upon request. Please, do not hesitate to contact us.